In the next couple of weeks, you will be receiving communication from your payroll provider to review a significant list of items regarding W2 forms – which may seem daunting. However, committing a bit of time to this task now will save employee frustration and possibly the need for corrected W-2 forms later. 1. Did any of your employees move and do you have their updated addresses? 2. Did you or will you be issuing any paper checks/bonus checks/year-end adjustments outside of your normal payroll? 3. Do you have a 401(k), HSA, FSA, Life Insurance or Short/Long Term Disability payouts? 4. Did you have a new medical/dental/vision policy this year? 5. Will your owners have a Shareholder Health amount to report? 6. Do you have any fringe benefits that count as wages such as Personal Use of Auto, gift cards, or cash bonuses that need to be reported? This is not an exhaustive list, but an illustration of the types of items to consider in order to verify the accuracy of the employee and wage information for your W-2 forms. Please be on the lookout for the Year End letter/communication from your payroll provider to get a jump on this very important task. Be mindful of deadlines – any deadlines set forth by your payroll provider are in place to ensure seamless and timely filing of W-2s before the deadline. Working within these deadlines can eliminate the challenges that you would experience with filing W-2 corrections. 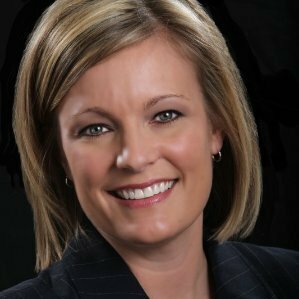 Tricia directs best practices and leadership for Payroll Vault local payroll processing offices as well as franchise affiliates nationwide. She is the in-house subject matter expert and advocate with proven process leadership.